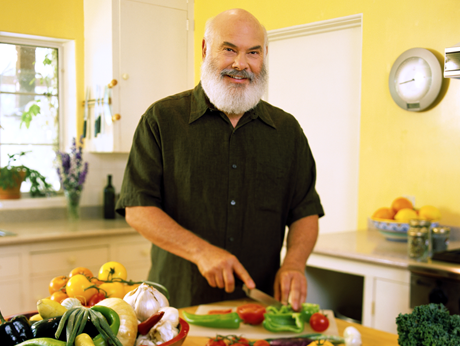 Controlling High Cholesterol | Heart Health | Andrew Weil, M.D. High cholesterol is a well-known risk factor in heart disease. This waxy, fat-like substance comes from the diet, but is primarily made by the liver, and is an essential component of cell membranes. The body also uses it to produce hormones and vitamin D.
Cholesterol is carried through the bloodstream attached to two different compounds called lipoproteins: low-density lipoproteins (LDL) and high-density lipoproteins (HDL). 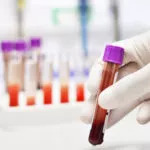 LDL is commonly known as the “bad cholesterol”; it carries cholesterol from the liver throughout the body, making it available and potentially allowing it to be deposited in artery walls. HDL is known as the “good cholesterol”; it picks up cholesterol from the blood and delivers it to cells that use it, or back to the liver to be recycled or eliminated from the body. High cholesterol, especially high LDL levels. These two factors combine to form a well known risk factor for heart disease (though people can have heart disease without having high cholesterol). 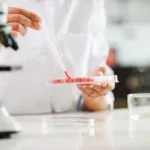 Lifestyle may influence cholesterol levels in part, especially the consumption of saturated fats, but the tendency toward high cholesterol appears to be genetic. Treating high cholesterol levels with a low cholesterol diet and nutritional supplementation is moderately effective. Medications to lower cholesterol are usually very effective. Low HDL cholesterol and high triglyceride levels. This is a different pattern than high total and LDL cholesterol although someone may have both. This pattern, sometimes called “Syndrome X,” is associated with insulin resistance. It is frequently influenced by diet and lifestyle, but also is genetically driven and appears to affect about 30 percent of the population. It carries with it an increased risk of high blood pressure and diabetes as well as heart disease. Dietary and nutritional supplement treatments for this pattern are different from those for high total and LDL cholesterol levels. Here, lifestyle changes are generally quite effective. Reduce the amount of sugar and flour that you eat. Recent evidence indicates that added sugar – in the form of table sugar (sucrose) or high-fructose corn syrup – is probably a greater contributor to heart disease than is saturated fat. In fact, certain components of full-fat dairy foods may be cardio-protective. As a general rule, don’t consume foods with added sugars. In particular, don’t consume soft drinks, which, because they contain no fiber to slow metabolism, cause rapid spikes and dips in blood sugar levels. The result can be overeating, obesity and heart disease. Avoid trans-fat. These heart damaging fats can reduce HDL levels and raise LDL levels. If you find “partially hydrogenated oil” listed in the ingredient list on food labels, find a healthier, low cholesterol diet substitute. There are many spreads available on the market today that are free from trans-fat. Trans-fat is found in many margarines and in most heavily processed foods, as well as in snack foods like chips, crackers and cookies, and in the oils used to cook fast-food french fries, doughnuts and movie popcorn. Exercise. Daily aerobic exercise is one well-proven method to increase HDL levels. Don’t smoke. Smoking is a risk factor for heart disease all by itself, but can also significantly lower HDL cholesterol. Relax. Emotional stress may trigger the body to release fat into the bloodstream, raising cholesterol levels. Practice daily breathing exercises and a stress-reduction technique that works for you, such as yoga, meditation, guided imagery or tai chi. Eat some nuts every day. Nuts, especially almonds, walnuts and cashews, contain heart-healthy monounsaturated fat. Substitute soy protein for animal protein. The protein in soy foods has been shown to lower cholesterol levels. Try to incorporate two servings a day into your meals. Choose from tofu, tempeh, soy milk, whole soy beans and roasted soy nuts. Use fresh garlic regularly in your meals. Garlic has been shown to lower both cholesterol levels and blood pressure – and it tastes wonderful, too. Use one or two raw or lightly cooked cloves a day. Drink green tea daily. The antioxidants in green tea help lower cholesterol and prevent the cholesterol in your blood from oxidizing. Eat plenty of soluble fiber. Soluble fiber has a powerful cholesterol-lowering effect. The best sources of soluble fiber are beans and lentils, apples, citrus fruits, oats, barley, peas, carrots and ground flax seed. Limit refined carbohydrates. A diet full of cookies, cakes, crackers, fluffy breads, chips and sodas can increase triglyceride levels and lower HDL. Take coenzyme Q10 (CoQ10). CoQ10 is a powerful antioxidant that has been shown to be beneficial for heart health by protecting LDL cholesterol from oxidation and by re-energizing the mitochondria in the heart cells, which is where energy metabolism occurs. 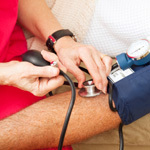 CoQ10 may also help lower blood pressure. Take fish oil. Fish oil contains an abundance of essential fatty acids known as omega-3s. Daily fish oil is an effective preventive strategy against heart disease, and has been shown to lower triglyceride (blood fat) levels, minimize inflammation and clotting, and increase HDL (“good”) cholesterol.